The Bonnie Doon average home sale price has moved to $432,234 as of November 1st this year. The Bonnie Doon neighbourhood has sold as high as $470,312 on average, and that was last year in 2012. 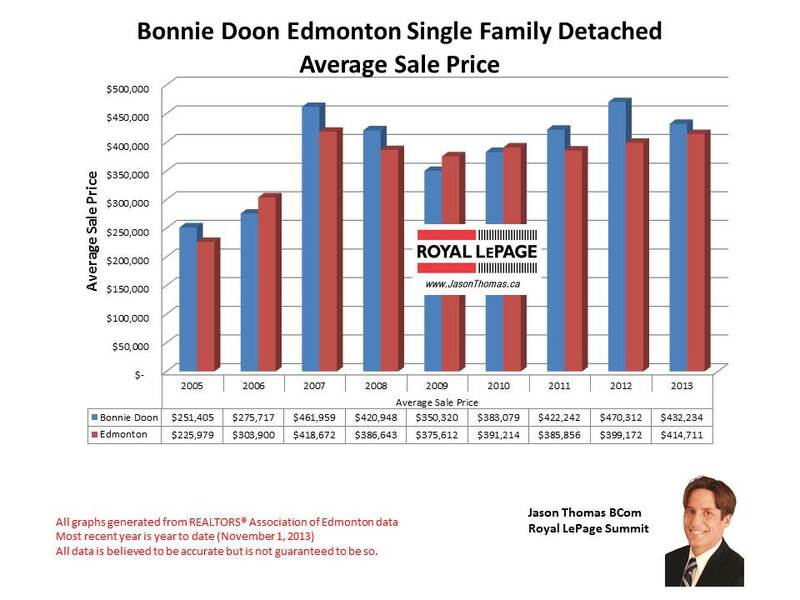 Bonnie Doon has seen the average sale price for a single family detached home rise by 72% since 2005.